Jane's London: King Brendon Burns. Back in August 2002 I was a Perrier judge at the Edinburgh Festival, having won the position through a written competition in Time Out. It turned out not to be rather hard work – charging back and forth across the city, seeing sometime six shows a day, with many of them not very funny at all, can become rather tedious. Often there were only five people in the audience! However, I was lucky to see so many great comics before they'd become household names. These included the fabulous Sean Lock (love that man so much! ), Rich Hall, Alan Carr, Dara O'Briain and Adam Hills. It was also the year that Jimmy Carr really came to the fore; for some bizarre reason, rather than being the obvious newcomer winner*, he was instead 'promoted' as a front-runner for the main award**. In the judges' meetings I tried to champion a few of my favourite candidates, but was consistently overruled; often by people who hadn't even seen the shows and weren't even judges. It was rather demeaning; both for me and the acts I was trying to promote. For instance, they said no to Andrew Maxwell because they thought he talked about football too much. I don't recall it being more that 10% football – I know diddlysquat about football I still found what he had to say really funny. Interesting that two years later he went on to win another major award. I also liked Reg D. Hunter. But a few of the other narrow-minded 'judges' thought Reg was mysogynistic; something that hadn't crossed my mind at all. I thought he had just been making clever observations about certain types of females. I talked to him at the awards party and he was confused and concerned about this. And then there was Brendon Burns who put on my second favourite show of the festival**. It was filled with clever, intelligent, side-splitting observations, including one hilarious story about an article in a newspaper that he (and I) had seen involving a man and a goat and a train. Sublime. During the show he had an assistant tallying up the swear words. 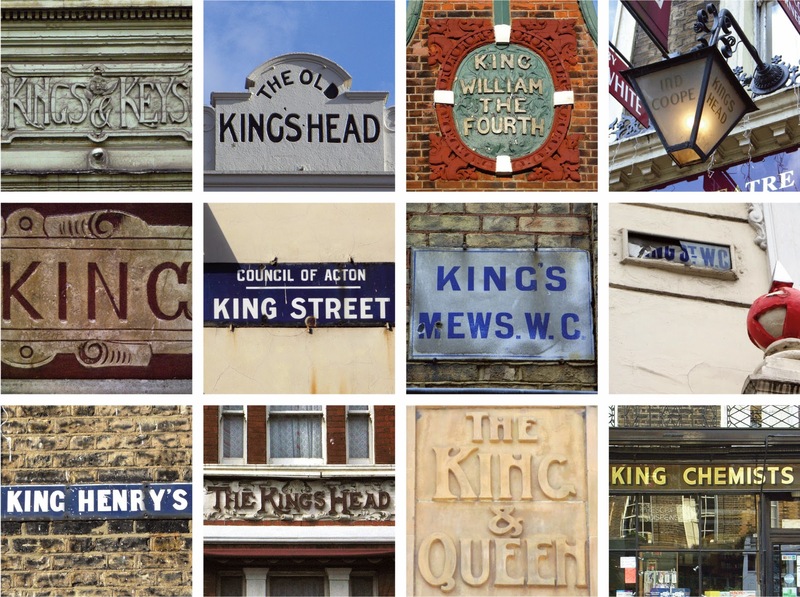 He was 'king funny and 'king clever, hence the montage of London king pictures at the top. But, yep, you've guessed it; some of the other judges thought he swore too much. Oh d'uh! It was part of the show! Brendon is back in London next week with his latest show "Brendon Burns: Hasn't Heard of You Either" at The Soho Theatre, July 8–13th. Be prepared; there will, more than likely, be blaspheming! ** Main award 2002 – Daniel Kitson – it was almost a unanimous decision.